Personal Alchemy Through Ashtanga Yoga, Integrative Somatics and More. Expert coaching and guidance for radical transformation, peak performance and excellence. Developed over 70 years ago by Dr. Milton Trager for the treatment of polio and sciatica, The Trager® Approach remains an innovative approach to movement education and self-care, which facilitates lasting neuro-muscular change. The Trager® Approach utilizes gentle touch and rhythmic movements to cultivate a state of deep relaxation to release muscle holding patterns residing in the unconscious mind that often manifest as functional limitation, or pain. Self-Care movement exercises are provided so clients may develop their own session "recall" capacity to elicit similar relaxation responses experienced during their session. Increased mobility, vitality, clarity, capacity to relax and sense of overall peace. Relief from stress, sciatica, chronic back-neck pain, headaches, and TMJ pain. Additional information on my previous relief work in Sri Lanka, please click here. A summary of the Trager Approach by Job's Body author, Deane Juhan. A research synopsis on Trager and increased Heart Rate Variability. Whether you are a Massage Therapist, Rolfer®, Physical or Occupational Therapist, Chiropractor, Nurse, or Yoga Instructor, learning how to incorporate the principles of The Trager® Approach and Mentastics® into your work will enhance your treatment efficacy, minimize burnout and, repetitive strain injuries, and have yboth ou and your client feeling great afterwards. Utilizing gentle touch and movement, The Trager® Approach remains one of the most innovative and effective forms of integrative movement education and bodywork that facilitates lasting release of muscle holding patterns that manifest as pain and functional limitation. More than a treatment, a Trager® session is a lesson for the nervous system, as well as an introduction to The Trager® Approach, a way of moving effortlessly through life. Mentastics® Self-Care Movement exercises to keep you comfortable while you work and which you can teach to your clients so that they may elicit similar muscular changes on their own. How inquiry and a meditative presence transform touch into a language. How to use touch and movement to dialogue with the nervous system to initiate lasting neuromuscular change. The fundamental principles of the Trager®. Approach at the heart of its efficacy. Through a mini-session protocol, we explore how to adapt those principles to your present style of work.This workshop contains vital information for anyone wishing to further understand the connection between mind and body, touch as a language, and in the words of Dr. Milton Trager, "Movement as a Way to Agelessness." This workshop will also follow a format similar to Michael's work in Sri Lanka, which was profiled in AMTA "Massage Therapy Journal" Winter 2007 Quarterly. 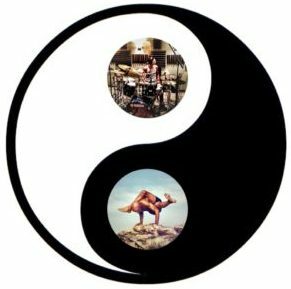 Professional Drumming, Ashtanga Yoga, Somatic Therapies, Mindfulness, Trauma-Informed Approaches & Nutritional Consulting all in one.